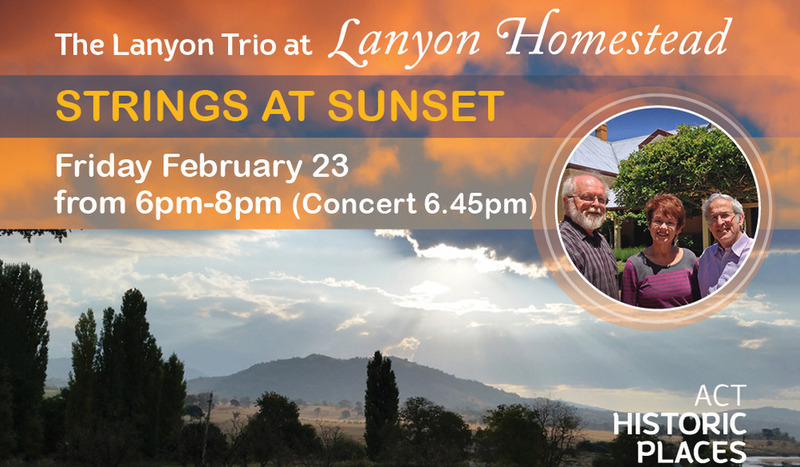 Ticket price includes concert, twilight champagne/beverage on arrival and exclusive access to the Lanyon Homestead grounds during sunset. Gourmet picnics are available for pre-purchase with ticket sales, catered by The Barracks Espresso Bar and Eating House. 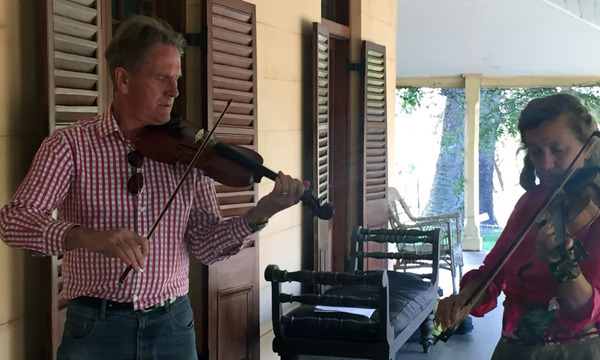 A unique event combining fine music, glorious heritage architecture and stunning gardens – don’t miss this rare opportunity to join some of Australia’s leading chamber musicians in the unique ambience of Lanyon Homestead. Hailed nationally and internationally as among Australia’s leading chamber musicians – and having performed across thirty-plus countries and four continents– the members of the Lanyon Trio - Andrew Lorenz - violin, Robert Harris - viola and Wendy Lorenz - piano join colleague and celebrated cellist Janis Laurs (former cellist in the Australian String Quartet and Principal Cellist of the Adelaide Symphony Orchestra) to present a concert of delightful duos, trios and quartets. The combination of such a spectacular setting with a musical programme of such quality makes this an incomparable event. Ticket price includes concert, twilight champagne/beverage on arrival and exclusive access to the Lanyon Homestead grounds during sunset. Gourmet picnics are available for pre-purchase with ticket sales, catered by The Barracks, Lanyon Homestead.